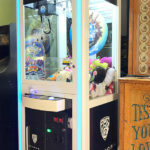 LED Glowing Crane Game Machine is an exiting and fun merchandiser game. 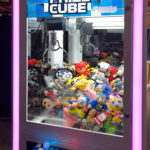 Prize Cube Arcade – LED Glowing Crane Game Machine for rent is an exiting and fun merchandiser arcade game. 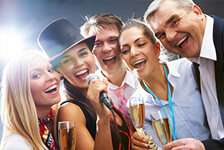 Great for your trade show, an evening event or even for a Dave & Buster’s style event. 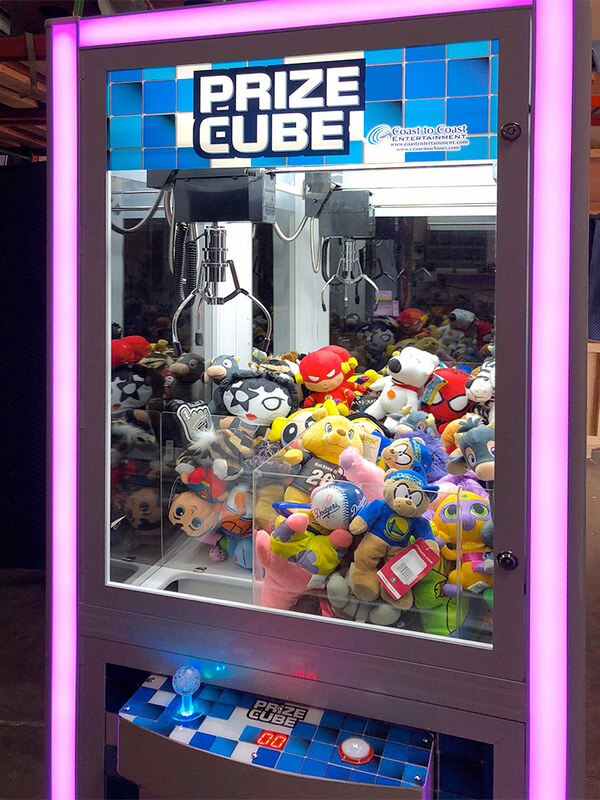 The Prize Cube Arcade game with LED glowing lights is an attractive game. 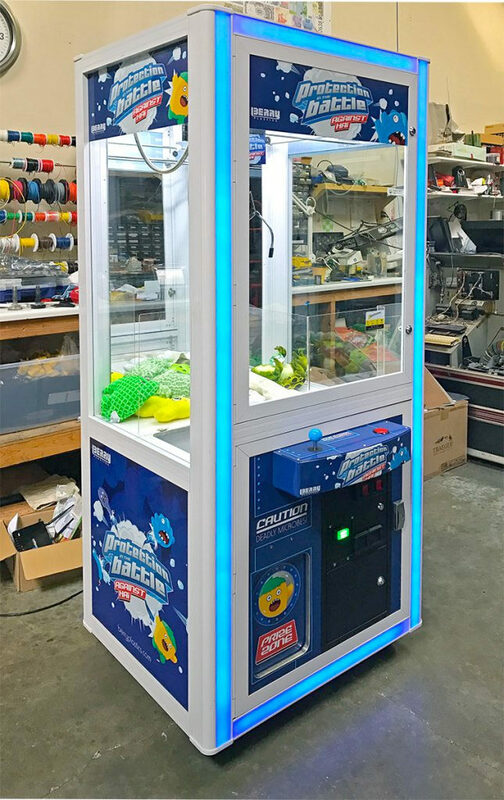 It is sure to light up your event or your trade booth. 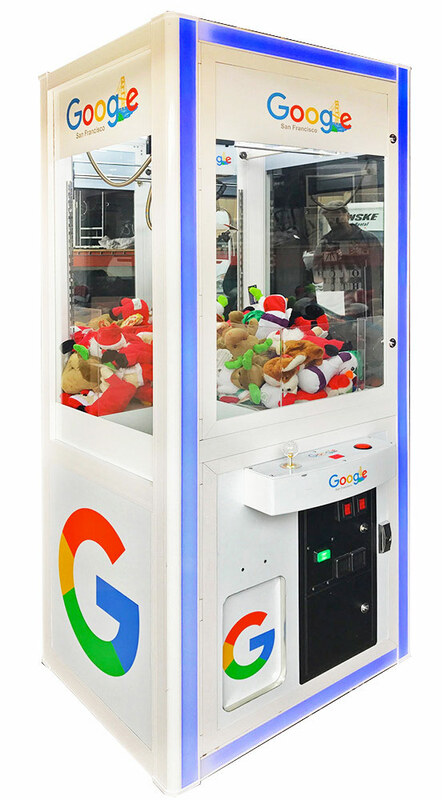 The game is sure to get a lot of use during your event. 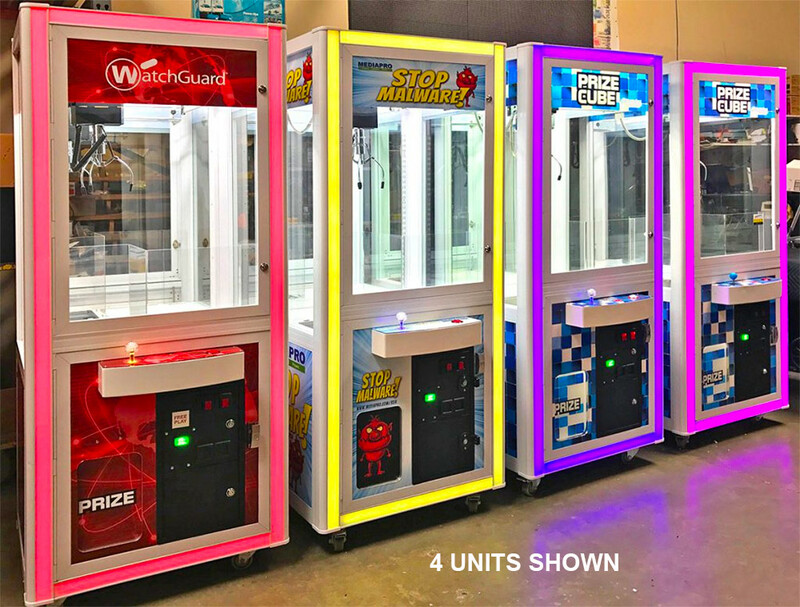 Prize Cube Arcade – LED Glowing Crane Game Machine for rent is fully customizable. 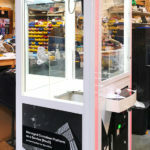 Commonly with your logos, custom corporate graphics and branding. 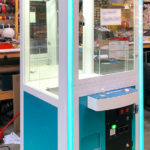 The LED glowing lights can be programed to match your corporate colors. 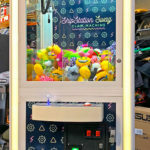 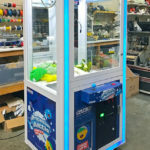 Prize Cube Arcade – LED Glowing Crane Game Machine for rent is setup on FREE PLAY (unless requested otherwise) to dispense variety of merchandise. 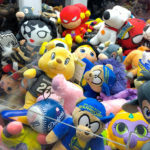 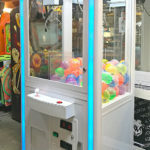 Most commonly plush toys, T-shirts, corporate merchandise and 4” clear balls that can be filled with small prizes. 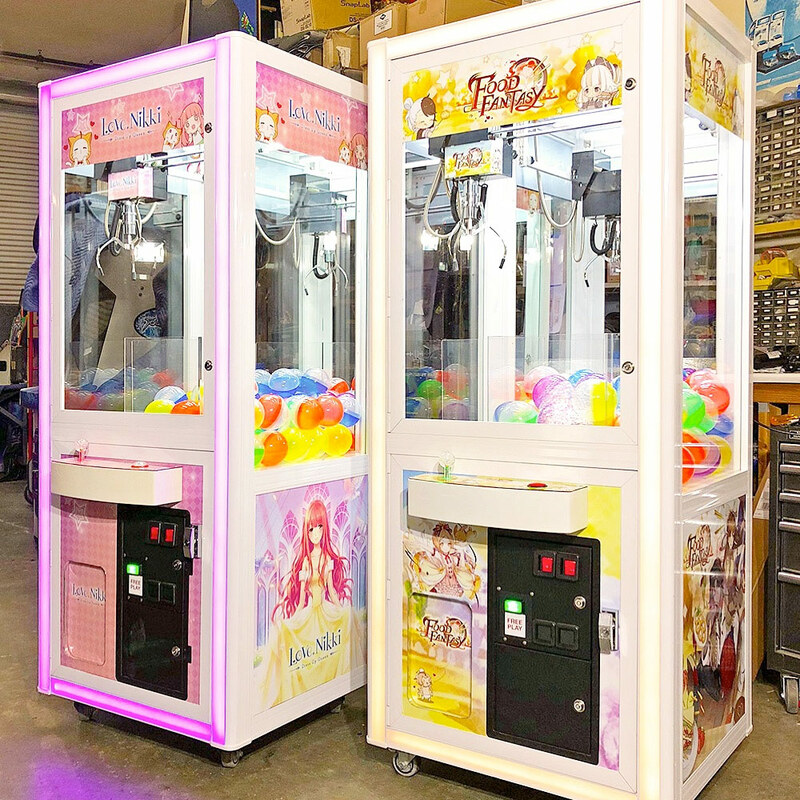 The ideas for the merchandise are unlimited as long as the size is not more than 10in and weight up to 10oz. Prize Cube Arcade – LED Glowing Crane Game Machine for rent is a game of skill. 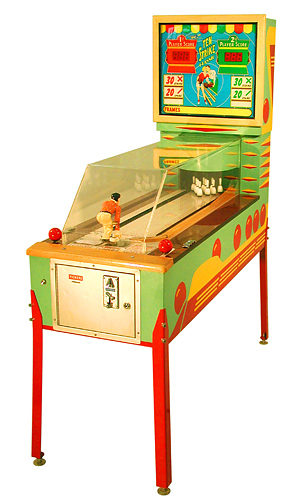 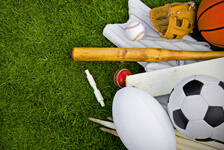 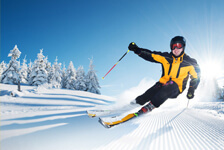 However, the game can be setup for a specific winning percentage. 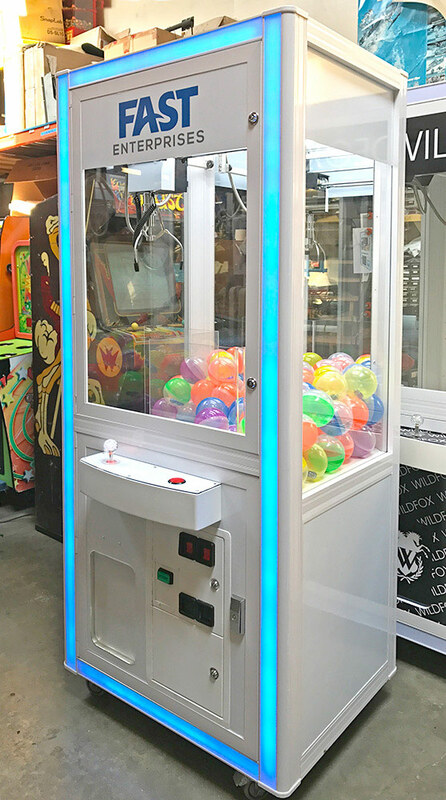 We have 20+ units in stock and ready for your guests to enjoy. 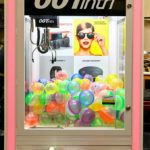 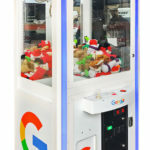 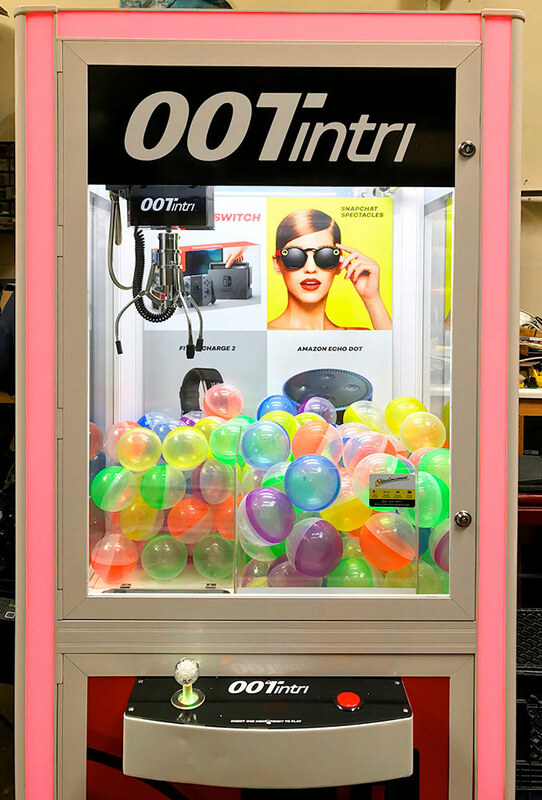 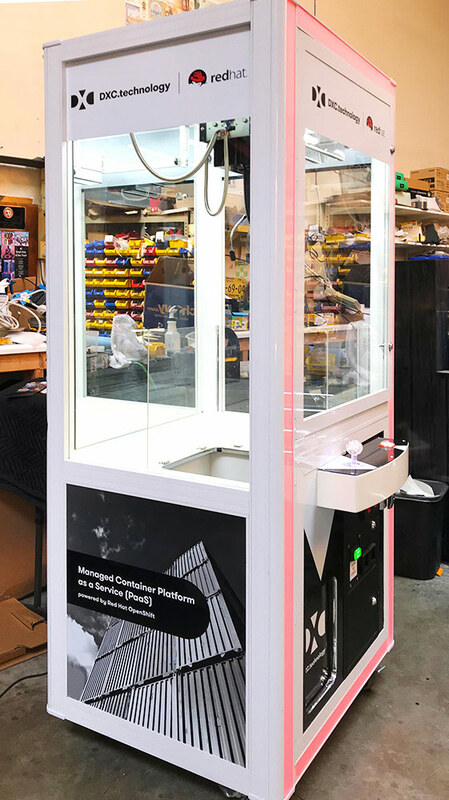 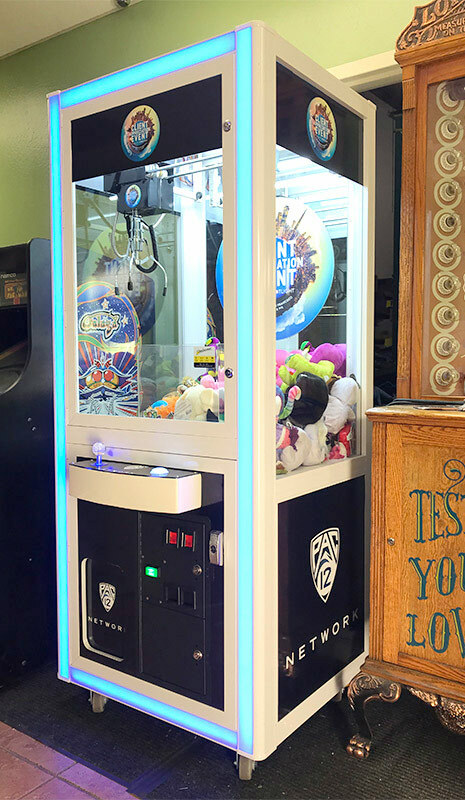 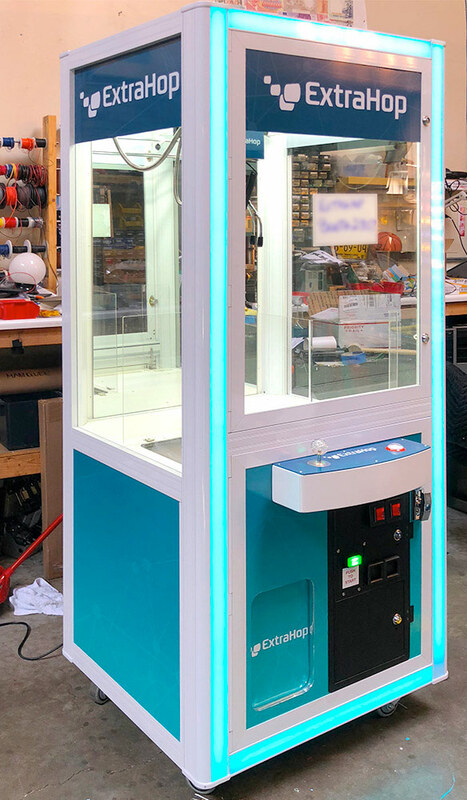 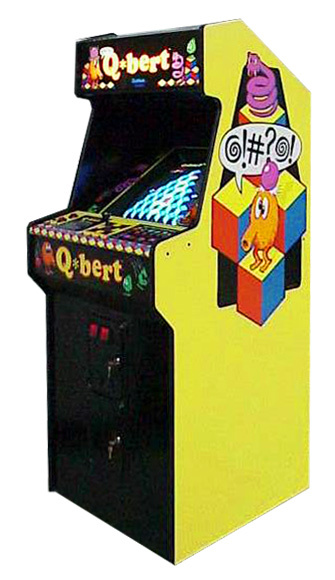 Video Amusement delivers Prize Cube Arcade – LED Glowing Crane Game Machine for rent in California to San Francisco Moscone Center, AT&T Park, SF Masonic Auditorium. 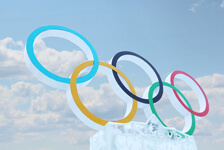 San Jose Convention Center, San Jose Event Center, SAP Center, Santa Clara Convention Center, Levi’s Stadium, Great America. 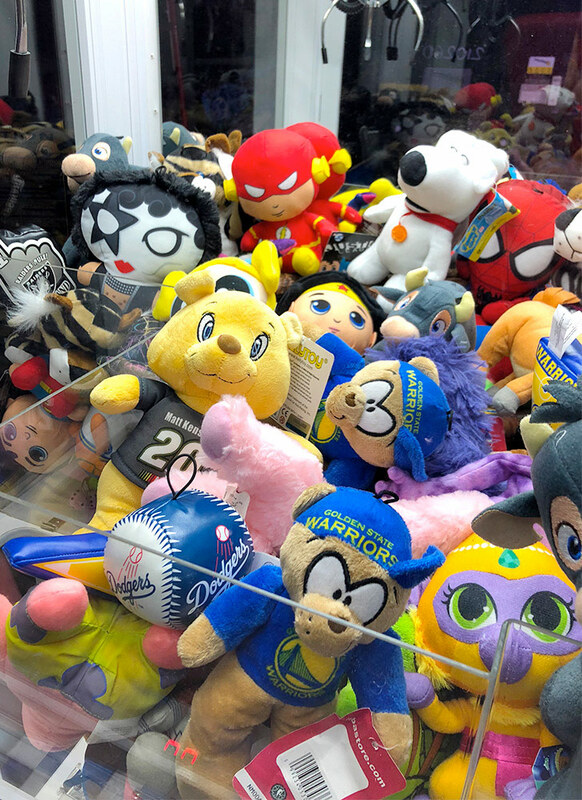 Mountain View Shoreline Amphitheater, Monterey Convention Center, Oracle Arena, Oakland Coliseum, Sacramento Convention Center, Los Angeles Convention Center. 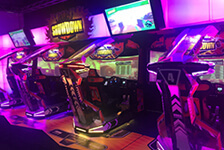 LA Live, Staples Center, San Diego Convention Center, Anaheim Convention Center, Long Beach Convention Center among others. 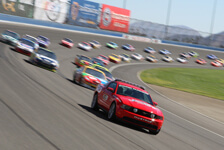 We cover Nevada Las Vegas Convention Center. 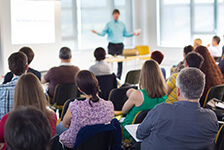 Sands Expo Convention Center, Mandalay Bay Convention Center. 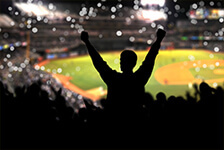 MGM Grand Conference Center, T-Mobile Arena and all major venues in all the Western States.